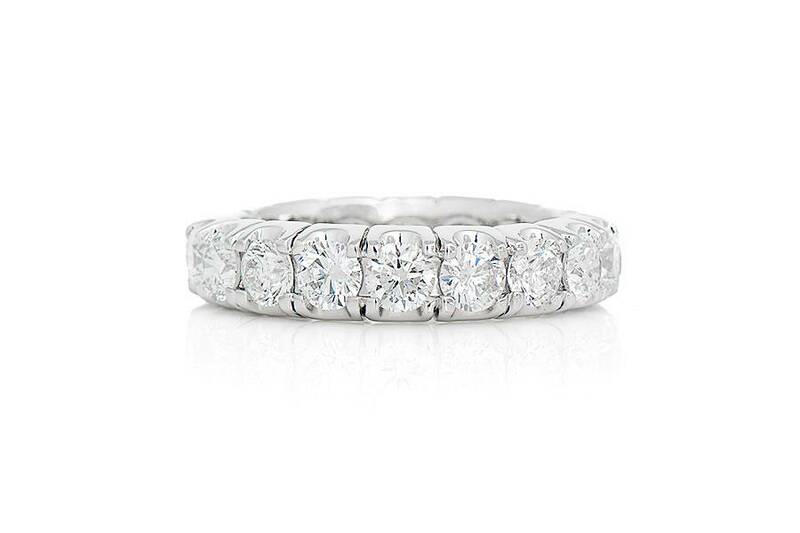 Ladies diamond eternity band of classic styling. 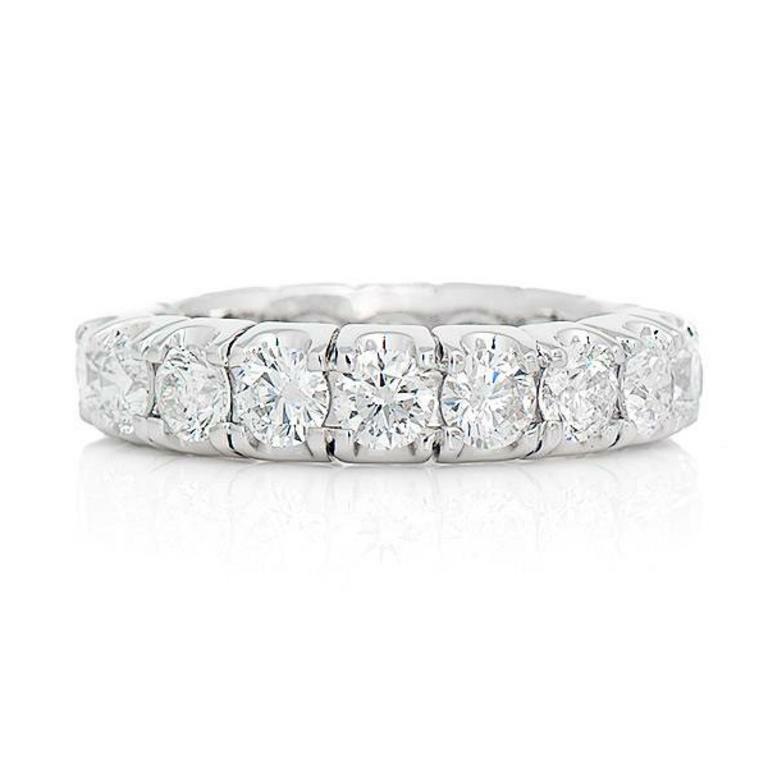 This timeless piece is crafted in 18k white gold and set with round brilliant cut diamonds that are claw set around its entirety. These diamonds have a combined weight of 3.00ct and are indiviudally four-claw set. This item is a special order piece that will ship out in up to 7 weeks. If your finger size is not shown, please call us in store for more order information.